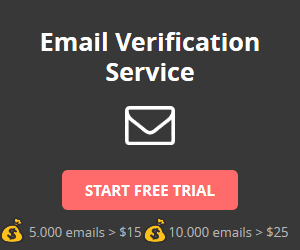 Improve your email marketing campaigns with the help of an email validator. Emails are one of the best ways of communication in order to connect companies to their users and members without hassle. That’s why many marketers tend to use email campaigns for their businesses. However, email campaigns can be useless if you have a large email list yet it’s full of erroneous data. Many online businesses fail in checking these emails before starting their campaign resulting in their mails langing in the spam folder. It’s really a total waste of money, effort and time since you have put in so much to these campaigns only for them to be ignored. You have to update your email lists from time to time and use an email validator to ensure that the emails you have are active. There are reasons why people tend to change their emails such as change in company; they forgot the passwords to their previous emails and so on. No matter what the reason, you always have to update your email lists since it can reflect on your email campaigns. Stop sending emails to old and inactive addresses; make sure you have an email validator running. Big internet service providers such as Google, Yahoo and Bing can be very strict when it comes to filtering email, that’s why some end up in our spam folders. This happens when you haven’t used an email validator to check your list and still keeps sending your campaigns to your email lists. These inernet service providers will then think of your actions as spam, they will think that you are sending emails to random addresses. This then can affect your sender reputation, your emails will be sent to spam or worse you can get blocked from their service. Don’t let all your efforts be futile, get an email validator software for your campaigns now.